Jacksonville, Fla. - The Jackson Generals, the Double-A affiliate of Major League Baseball's Arizona Diamondbacks, struggled against Jacksonville right-hander Cody Poteet (1-0, 0.00 ERA) and the Jumbo Shrimp (3-2) on Monday, ceding a 5-1 result at The Baseball Grounds of Jacksonville. The loss sends the defending champion Generals (2-3) to their first series defeat since August 6 of last season. In his Generals debut, right-hander Riley Smith (0-1, 11.25 ERA) got swamped in the second inning, as a leadoff walk and a double set the table for a big Jacksonville inning. An RBI single from Anfernee Seymour put the home side on the board first, and a two-run double by Brian Miller two batters later enlarged the dent. A wild pitch by Smith allowed a fourth run to score, extending the highest-scoring inning for either team in the series. Smith allowed five runs in total over four innings, his shortest start since 2017. In relief, Jackson hurlers Damien Magnifico, Lucas Luetge, Mason McCullough, and Michael Kohn each offered scoreless frames. 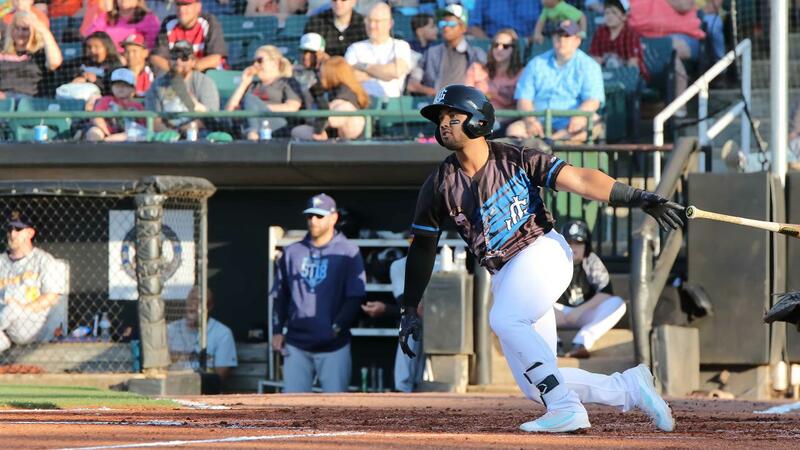 Offensively, the Generals did not record their first hit until the fourth inning, when Pavin Smith worked a first-pitch single, one of only five Jackson hits on the night. The Generals' aggression at the plate allowed Cody Poteet to work through six full innings on just 73 pitches, helped out by a runner caught stealing and a double play to close the third and fifth innings, respectively. Jamie Westbrook kept Jackson from being shut out by belting his first homer of the year in the ninth inning. The Jackson offense finished 0-for-4 with men in scoring position, going 8-for-43 (.086 BA) in that situation during the series. The Jackson Generals, a West Tennessee franchise since 1998, are the Double-A minor league affiliate of Major League Baseball's Arizona Diamondbacks. The Generals play at The Ballpark at Jackson, Tennessee's 2017 & 2018 Pro Sports Field of the Year. Purchase your tickets to see the defending Southern League champions today by calling 731.988.5299 or visiting JacksonGeneralsBaseball.com!